Aidan was a hugely popular figure as a top amateur jockey. In a career spanning over 15 years, he notched up over 100 winners. 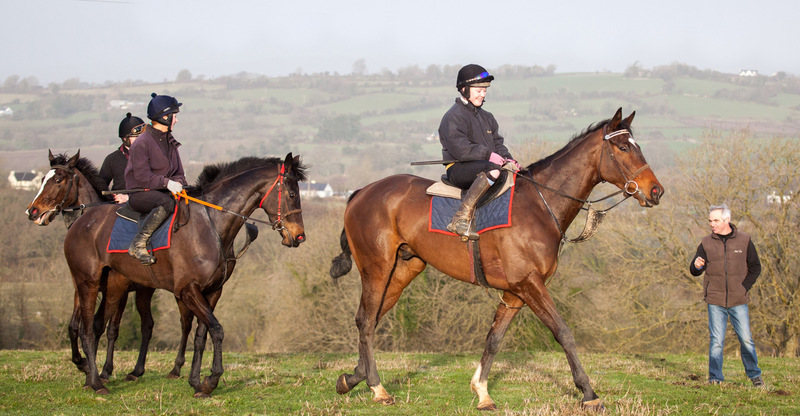 As a trainer Aidan specialises in Pre-Training, Breaking and Schooling Young horses, and also runs a small number of Point to Pointers. Notable graduates from the yard include: Glencove Marina, Roberto Goldback, Our Girl Salley, Last Instalment, Hidden Cyclone, Vic Venturi, Thomas Edison, Black Hercules, O’Faolains Boy, Felix Younger and Killultagh Vic. Aidan remains as hungry as ever for winners. He is putting together a team of young horses starting out on their careers and as such there is no better time for new owners to come on board. Together with his dedicated team, he is always interested in hearing from people who want to take advantage of the facilities and expertise that Cobajay Stables offer. Copyright Aidan Fitzgerald Racing. All Rights Reserved © 2016.